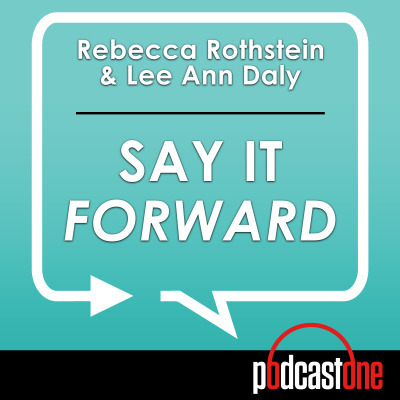 Say It Forward brings top money advisor Rebecca Rothstein with guest hosts Lee Ann Daly and Kim Garner as they go inside the real life stories of fascinating people at the vanguard of art, music, business, pop culture, TV, film, fashion and more. Their guests are often professional colleagues and friends! Some are famous, some are rich, some are both, some are neither...but all deliver juicy, insightful, often funny and always amazing stories told with heart from the heart. The interviews take you inside to uncover struggles and joys that have never been revealed before. Join them as their guests rewind to the beginning and Say It Forward.